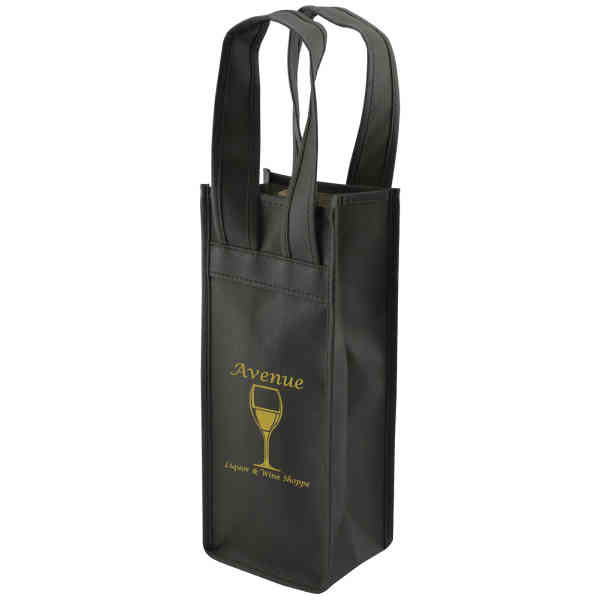 100 GSM premium non-woven polypropylene one bottle tote bag. This bag features reinforced 16 inch handles. Perfect for the wine industry, liquor store, breweries and so much more. Size: 4.5 " x 11 " x 3.5 "
Price Includes: Add this amount PER ADDITIONAL ARTWORK, PER BAG. Contact us for details on Setup Charges. Price Includes: Add this amount PER BAG, to base Silkscreen price. Contact us for details on Setup Charges. Price Includes: Per color, per bag. Price Includes: Per location, per bag. Price Includes: NEW Orders; per screen. Price Includes: REPEAT Orders; per screen.